In the winter, every day is a slow day on the farm. That is why we got so excited when our new hay wagon arrived this week. With this wagon, we will be able to transport hay to the far corners of the farm with fewer round-trips, so it will be easier to move the cattle all over the farm this winter. The wagon will also keep the cattle’s dinner up off the ground, so they can eat every scrap without the hay getting soiled and trampled. 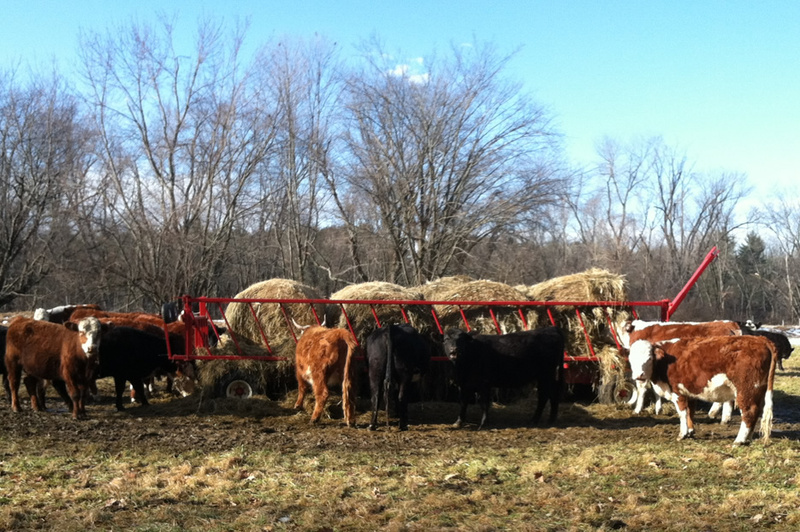 Given the high price of organic hay, the wagon will pay for itself with the money we save on feed alone. But it’s also about taking care of the soil: fewer tractor trips and more frequent moves means less soil compaction and better manure spreading.